Paul if we are handing back land then it would go to the Australian Aborigines. 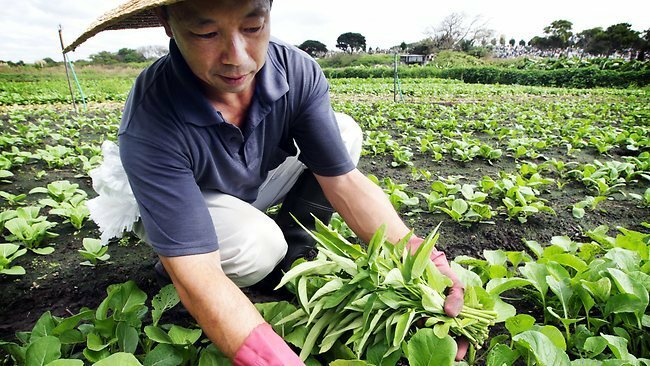 The Chinese Gardeners did not take this land from anyone, that happened before their time. They have legal leases and have operated those leases for over 100 years, providing fresh produce to the local region. I think we are lucky to have a culturally significant site such as this where not only the site but the fabric and actual use is still in operation. This is a rare find and we should protect it for everyone in the community, it is wonderful. As for cultures who opt for burial I am one and this will just have to be dealt with in another way. Regardless of our faith, heritage is for everyone and I will not let Eastern Memorial Park use my faith to scare me into supporting their land grab at the expense of these magnificent gardeners and keepers of local heritage. I hope that the Greek, Aboriginal, Jewish and Muslim faiths refuse to be used also. If you want to see how they use the land they already have go down and have a look. They don’t need land, they need management. Forget the Opera House. Sydney’s remnant Chinese market gardens are true Sydney icons (”Growing vegies becomes a question of life and death”, January 7-8). Hard-working immigrant Chinese played a major role in the development of Sydney and the state. Given their present numbers, they will do so again. For more than a decade, my local and overseas tourist guests have marvelled at the beauty of these gardens, always thriving despite the salty sand-soil. The noisy, orange-breasted native parrots are a delightful bonus. Captain Phillip drew his first fresh water from the site, and there are remnants of Sydney’s huge electric tramway network right outside the gate. History is where you look for it. The La Perouse Chinese garden must be saved. 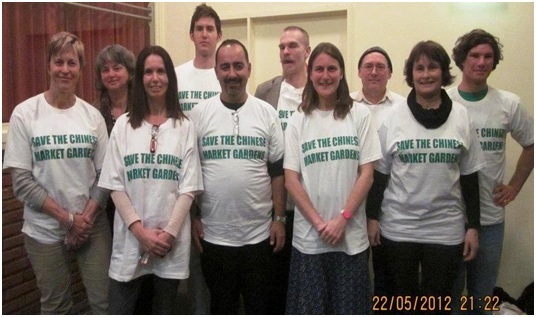 Posted on 16 Nov 10 at 04:11pmI absolutely support keeping the market gardens in Botany and believe the church should be planning on finding alternative space to bury their dead. These gardens are of high heritage value with enormous cultural and historical significance to this city and this should be protected, by our government. Ironically, this should also be protected by the very churches that wish to destroy them. It is absurd to consider future expansion for any inner city cemeteries because there is a need to continue planting bodies and a growing shortage of land. These Chinese market gardens were established before any dead were buried in the nearby cemetary. They are viable and successful, supplying many nearby restaurants and greengrocers, as well as selling produce at Flemington Markets. What is of more value here? Planting bodies over parsley – I think keep planting the parsley and in 12 years time when the land out at Botany is full of hundreds more dead bodies, than it is time to stop burying. Maintain and protect the market gardens which sustain life and reflect the history of our city. It is outrageous to be pressured by powerful religious bodies greedily eyeing off the neighbours plot. Cremate people. Leave the land for farming! And there are still people who think farming is not a skill. As if coaxing a living from such a small piece of land is something any old urban punter could do. The farming community is being marginalised because farming is not recognised as a skill in the migrant entry system. They’ll give points for hairdressers, cooks, and park rangers, for fox ache, but real farmers, like the ones that have already proven to be the most successfully integrated of all in rural communities all over the country, get Buckley’s chance. So much for a non-discriminatory immigration program that meets the needs of the community. And what about the heritage listing? Or are the rules for Sydney different to the rest of the state? Leave the Chinese farmers alone! They too were upon the first settlers, the first farmers here in Australia. They have their private property rights. Cremate the people! Leave this heritage-listed land to do what it does best, producing food for Sydney’s population. No one wants their dearly departed buried in a former swamp.